Located in the heart of Playa del Carmen this stylish Oasis 12 luxury modern loft style residence has two bedrooms, two baths and two balconies, on two levels and is just 2.5 blocks from 5th Ave. A home away from home featuring queen size trundle bed on the lower level ; accommodating two to four persons and one king size bed on the second level; sleeping up to six individuals in total. 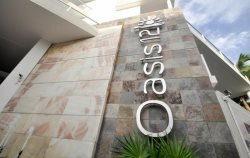 Oasis 206, is conveniently located just a 4 minute walk to the beach, numerous International restaurants to savor, cafés, Walmart, Mega grocery markets and the new Alegria Mall on Constituyentes and Fifth Avenue. Oasis 12 Luxury boutique condominium complex features a lovely welcoming lobby, four story atrium, elevator, outdoor dining area with barbeque grill, sun loungers, heated lap pool, water fall features, Fitness center with cardio machines and free weights, 24/7 security, complementary Wi-Fi and underground parking- Everything you require for a relaxed sun filled vacation- An Oasis! The perfect vacation rental for couples or a family. This vacation rental unit is also available as a long-term or one bedroom rental during off season – please contact us for information on availability and pricing. 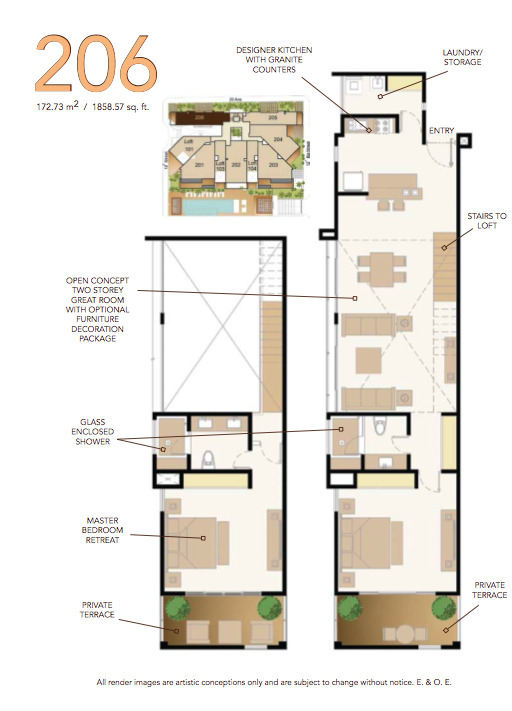 * Special Low Season Monthly Rate $2,800 USD plus Electricity Consumption!! * Pull out bed available for two extra persons (Extra fee of $15 USD per person, per night applies). Today Playa del Carmen, or just "Playa" as it is colloquially referred to, is the center of the Riviera Maya concept, which runs south from Puerto Morelos, to Tulum and down to the Sian Ka'an biosphere reserve. Playa is a day trip stop for several cruise-lines and one of the most cosmopolitan cities in Mexico with expats from Spain, Italy, France, Argentina, Canada, US and many other countries. Playa has everything you might want.